*Purchase your 30 day Pass on your first visit to the studio. Valid for 30 consecutive days of yoga at Tula Hot Yoga & Wellness, Christchurch. No need to prebook,just come on down for a wonderful warm welcome here at the studio. This is an offer for new Tula students only, we have classes every day and you can come to as many as you like in those first 30 days. Sign up for membership before it ends and get a HUGE £10 discount EVERY month! 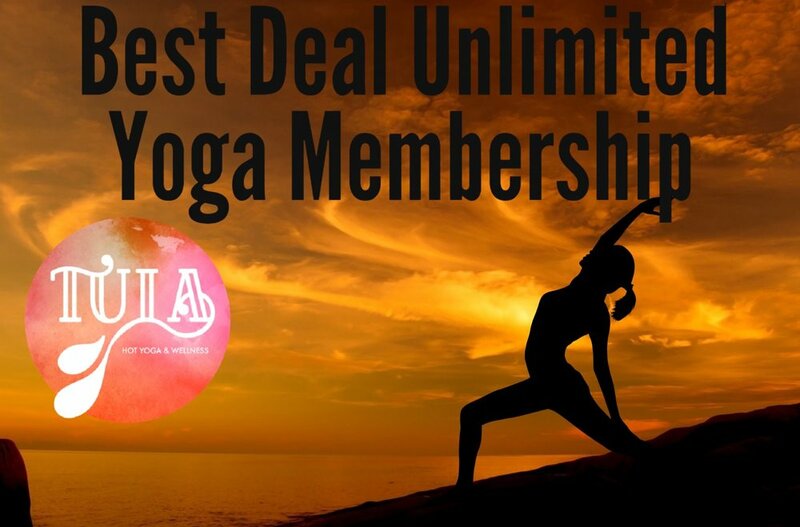 £59 instead of £69 for unlimited Bikram, Hatha, Vinyasa & Yin every month. Just come and see one of our friendly teachers at the studio before your intro offer ends, and they'll make sure you get your discount. ...we believe that practising yoga is the way to keep your life in balance. Yoga is the only natural exercise which is affecting both physical and mental wellbeing. The word Yoga (in Sanskrit) describes the union of the Body the Mind and wisdom of the Heart. Yoga is for every-body and has no limitations whatever age or shape you are,whether you are a dancer,a builder,secretary,musician or athlete.Everyone is welcome to all classes from complete beginners to yoga veteran. We aim to create the space where you can disconnect from the daily grind and reconnect with real you.Tune your Body & Strengthen your Mind maintaining your health and having fun at the same time. Yoga is benefiting both your physical and mental wellbeing. There is no Happy Body without a Happy Mind. © 2017 Tula Yoga Ltd. Design by Brand Pharmacy.